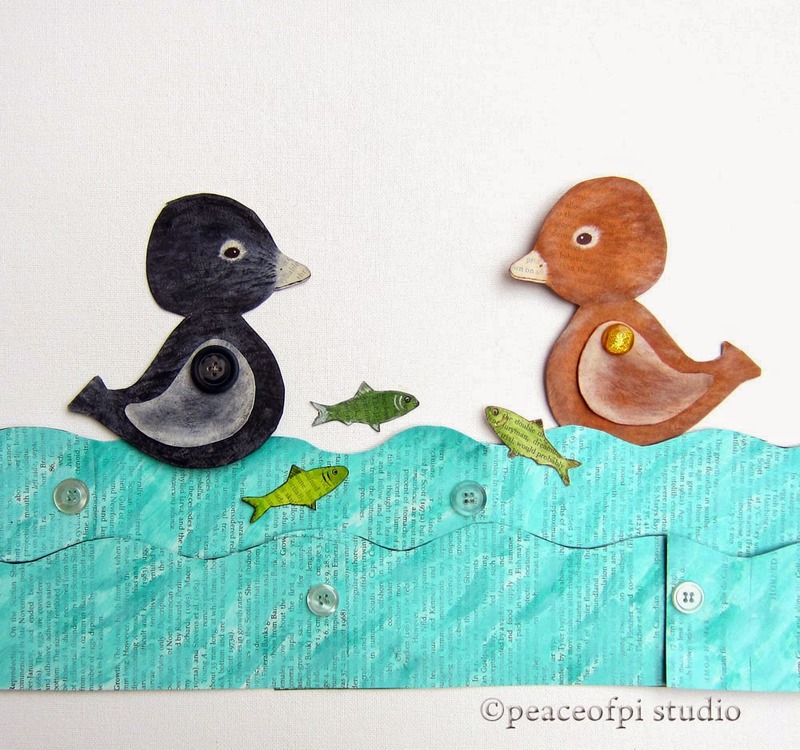 Two ducks happily float on the ocean as the fish jump and play. These mixed media paper dolls are made of book pages that have been painted, cut and stitched. Buttons hold the moving pieces together making the scene dynamic and pose-able. 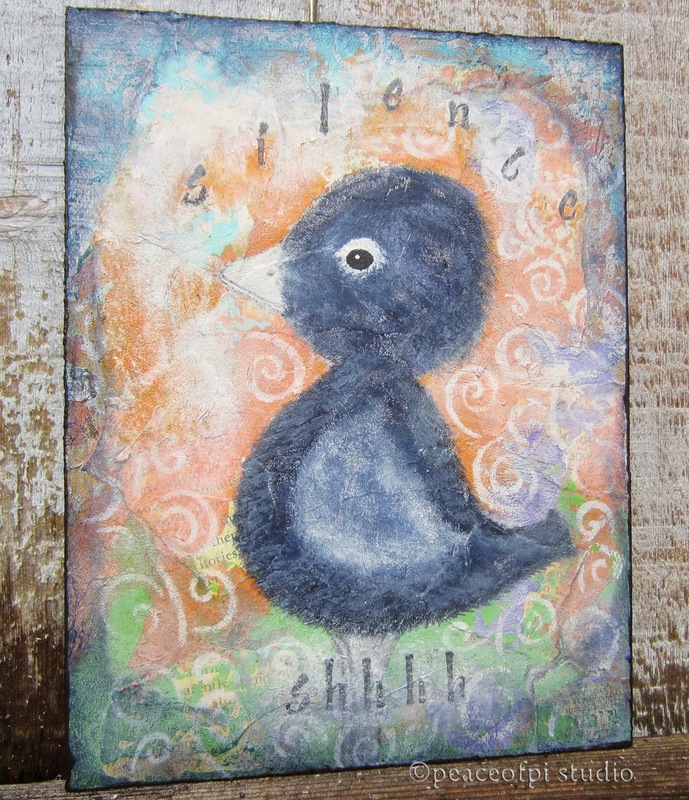 The ducks are inspired by the paintings from the a little bird told me series, including Embrace Silence, featuring a duck of few words. This painting inspired the paper doll along with his friends of both feather and fin.